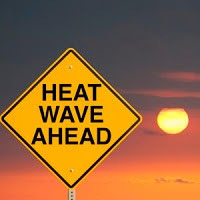 Brief Forecast: warm winds from N/NW will be warm in N.Konkan region next 2 days as High pressure takes grip in sea...very gusty hot winds in Gujarat next 2 days..Goa and adjoining extreme south Konkan and South Mah can get Thundershowers on Friday. Posted on Wednesday Night...@ 11 pm IST. 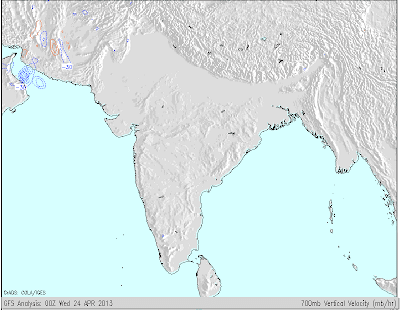 Hottest in India: Solapur at 41.1c, Pakistan was Mithi at 39.5c. Now, attention to Thursday's Schedule of our forecast..A-6 moving in and thundershowers for Northern Pakistan, Northern Indian Hills, Punjab, Haryana, Delhi NCR, Jaipur, Interior Karnataka (Belgaum) and Goa....Thunder heads for the Konkan Belt....and of course Kathmandu, which recieved its shower today, and more tomorrow ! Maps above show the Low over Oman,extending to 700 hpa heights, and the subsequent trough at 850 hpa, remaining practically stationary over the region till Wednesday Morning. (As per vagaries' Forecast of Monday). System gathered moisture from the Arabian Sea, and the prevailing High over the Sea sent Westerly winds (Clockwise direction) brushing along the Iran/Pakistan coast up to Karachi. Rainfall, though decreasing, is expected to linger on till Friday, with thundershower in Muscat. System now is expected to fizzle out. 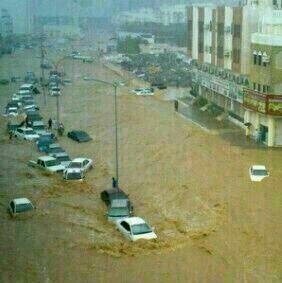 Day long light to medium rains , with thunder flooded the Wadis of Oman. Highest 24 hrs rainfall till 5 pm IST on Wednesday was in Qaboos Port which measured 20 mms. Muscat AP saw medium rains and thunder with early morning hails, and measured 11 mms till evening today. The day's high was 30c (6c below normal). The mountainous region, Jamal Shams, saw a high of 12.5c and an overnight low of 4c, with 19 mms of rain till evening of Wednesday 24th. Ibri saw a lot of flooding , with a spurt of heavy rains measuring 15 mms till evening and 10 mms yesterday. All Wadis are prone to flooding even with a small amount of rain there, as the water "overflow" is high, and there is no way it can be channeled off. Very nice explanation Sir. Now the doubt over Muscat rains got cleared.. BTW very unusual rains for this time of the year for Oman.. And High pressure sitting at both end in Arabian Sea & Bay of Bengal so an concern over Monsoon progress !! Abhijit: High pressure in the Arabian Sea will remain till end of May, that is the normal date. Bay high pressure should be replaced by a Low. Monsoon position will be put up in the next MW.. It's the Great Whirl AM.., check more on it on google. Very usual and normal! The weather in Oman was just as predicted. Point to be noted( Abhijit), but Very well explained by Rajesh sir...about Oman and the high pressure in both the sea's at the moment. but sir ? Since u have mentioned about the high pressure in the Arabian sea to last till the end of May 'will it' in the due coarse effect on Konkan's pre- Monsooon shower's in May, What i mean is will konkan get it's proper share. Thanks Nikhil. Hope all is well at your end in Muscat. Sam: High pressure remains in Arabian Sea as a normal factor till May end...as for the quantum, will quantify in later MW articles, as it needs more in depth study.. Dark clouds in the western skies with promise of convective rain and thunderstorm in Goa. In fact already-as of 6 pm- there are reports of rain in areas at the base of the Western Ghats. Right on time as predicted by vagaries! Hats off! Thanks Abhijit/Juniad. I stay in Navi Mumbai (left sick BANGALORE year back) and work place is Vikhroli. Exactly as myself was stating earlier GUJ/RAJ are no longer dry places (receiving increasing rains every year-cooler temperature and now even WD favour them). Infact ESSAR,RELIANCE have planted 10 lakh Mango trees in Kutch/Jamnager area!!! Amazing this is actual green initiatives and booming deserts. Actual deserts are shifted to SE India- my observation. BANG pre-monsoon showers have dissappeared??? Enjoy your stay in Navi Mumbai. Guys Guys"Plz stop giving personnel comments on anyone, b'cause it really spoils the joy of reading the comments , let sset continue the way he is , we will enjoy reading his comments too. Humid day in bangalore. Hopefully some rain should come our way. Last 1 week we have seen good rain in kolar , bangarpet belt east of bangalore. Nothing much inside the city.